The California Gold Rush apparently never quite ended. What is billed as one of the biggest nuggets found in modern times, unearthed only this summer, is up for sale. The fist-sized lump of precious metal weighs more than 6lb (2.8kg) and is expected to carry a price tag of $350,000 (£220,000). 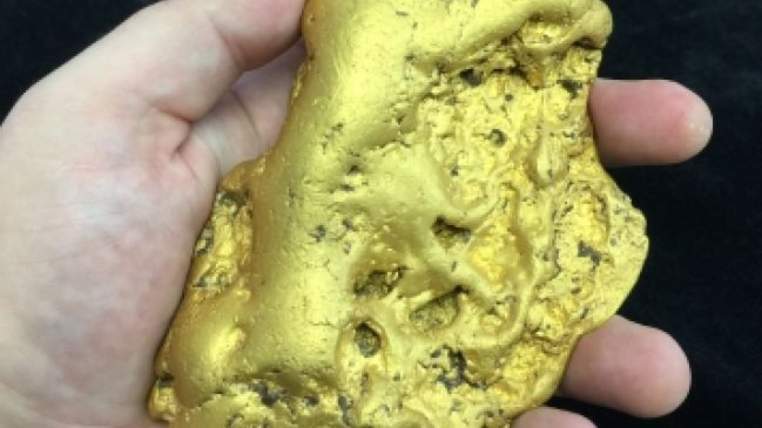 The chunk is known as the Butte Nugget, after the Northern California county where a gold hunter says it was found in July. The owner, who wishes to remain anonymous, said it was mined on public land in a mountain range. Read more here.